The grill of the Bernardi was, and is an impressive statement. Once Art had full control of Blakely Auto Works we began to see the vision he had for further growth of the company. The basic concept of the Blakely was strong. The design was original, the engineering of the chassis was superb. the quality of the fiberglass exceeded that of any of the competitors, and driving a Blakely was a wonderful experience. Art was now able to focus his attention on the details of the design. In a note to potential customers he wrote "We've gone to great lengths to provide our customers with the engineering and design necessary to create a genuine sports car, not just a fragile impersonation of a retired thoroughbred." 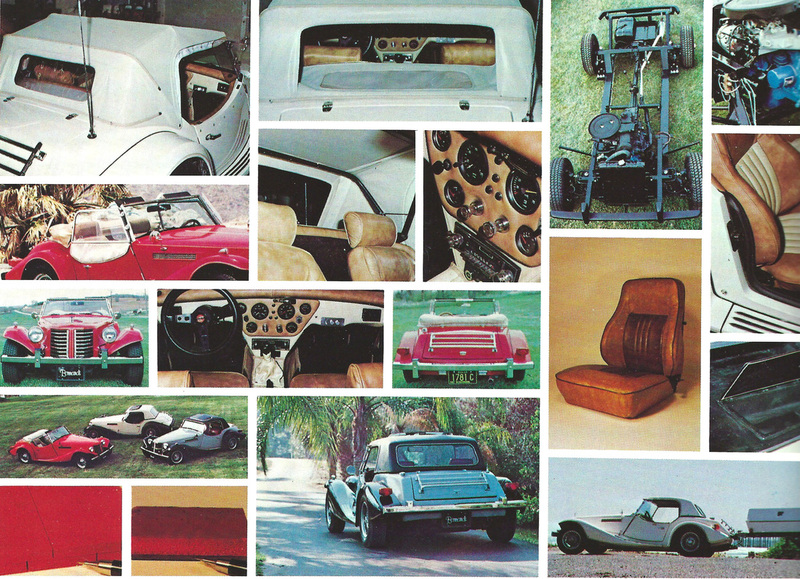 An extensive array of Bernardi photos was included in a 1981 Blakely Auto Works brochure. ​This is an interesting car. The owners manual that came with the car identified it as a Bearcat. The windshield frame and front bumper are both from the Bearcat. The fenders, the vents on the side of the hood, the grill and fender-mounted turn signals, however, are clearly the same as those found on every Bernardi. A few years ago I had the opportunity to examine this car on several occasions. It seems that this Blakely was a transition car built as a prototype, about 1980, for the next generation Blakely, introduced as the Bernardi.